The kids are expected to tour the White House Thursday and “have a full itinerary"
Chicago’s favorite little league team visited the White House. The Jackie Robinson West little league team and coaches left Wednesday for Washington D.C. where they are set to make a visit to the White House, the mother of one of the players confirmed. "The team and their coaches are visiting Washington, D.C. and the White House at the invitation of the President following their success in the Little League World Series earlier this year," a White House official said. 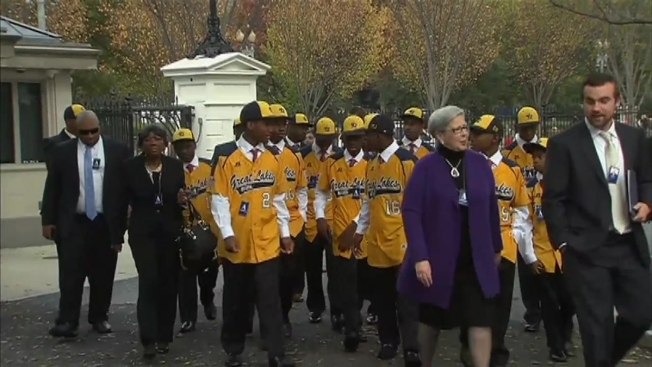 The Jackie Robinson West little league team and its coaches headed to the White House Thursday to meet the president. 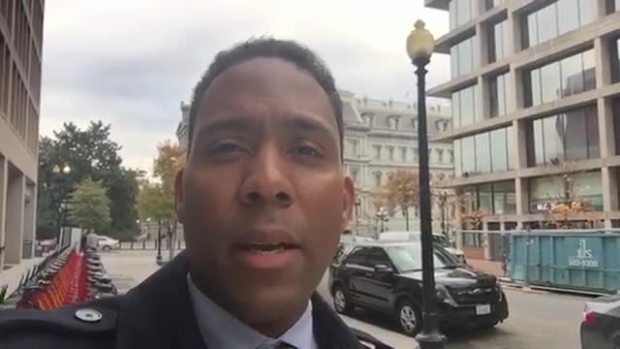 Christian Farr reports. Last month, President Barack Obama reportedly paid a visit to the team during a trip to Chicago, inviting them to the White House. The Sun-Times reported that, while meeting with the team, Obama said, "I want you guys to do well in school. You guys are role models." The All-Star Little Leaguers from the city's South Side captured hearts—and a ton of media attention—during last summer's victorious U.S. championship run. 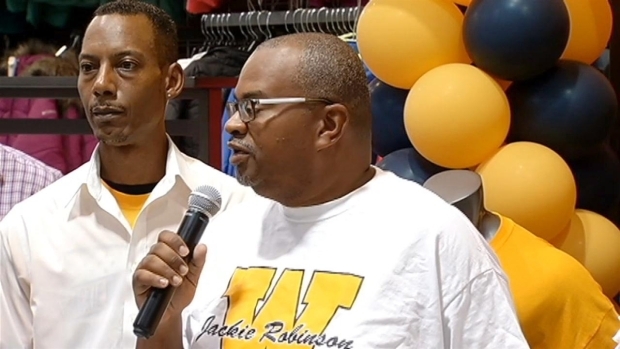 9/3/2014: Athletic apparel retailer donates money from Jackie Robinson West t-shirts back to the team. Treated like rock stars back home, the team was celebrated with a joyous rally drawing Quinn, Mayor Rahm Emanuel, Sox and Cubs brass and Chance the Rapper. The team also received an invitation from the South Korean Embassy to play a rematch of the historic Little League World Series game where they lost 8-4, their coach confirmed. While details surrounding the potential rematch have not yet been determined, they are expected to play two games and be in South Korea for roughly a week. The team consists of thirteen 11- and 12-year olds from the South and Southwest sides of Chicago, and was the first Chicago-area team to make it to the Little League World Series in 31 years.